I will not watch any video or read any review about RDR 2 because i dont want spoilers. You guys? So in the end its all about fps and graphics again. To be fair I do understand this, one of my mates has an amazing machine of a gaming pc. Games look absolutely stunning. I never denied that. But from my point of view it still is a pretty high price for a few benefits. Personally I don't even care that much about graphics, the main advantages playing on PC has for me are mods, being able to use both k+m and every type of controller, less expensive games on average, free online play, strategy/management/indie games and 60 fps. If you play with a controller you can play on your couch with your tv either by using steam link or by directly plugging your PC in the tv. A console is easier and cheaper to get into and when you buy it you know you will be able to play until the end of the gen (by accepting gradually heavier compromises obviously, the thing I don't like is that it's always the frame rate that gets sacrificed) and choosing a console for these reasons is perfectly ok of course. Please stop perpetuating these silly stereotypes that PC gamers are graphics junkies and that console gaming is the only gateway to couch play. People on console can like pretty graphics and people on PC can like gaming on TVs. There's a reason the enhanced consoles are being pushed so heavily, along with 4K. Graphics. Everyone likes them pretty. There's nothing bad about that. I would love to own a PS4 Pro alongside my gaming PC, but financially it's simply an impossibility right now. Maintaining & upgrading one while paying off the other is just too much, and I'm sure many other people are in similar situations. Hence, we wait for the PC verison. There's no elitism or ill will involved. Just the way sh*t is for some of us. I really want to play RDR 2, I enjoyed the first RDR on my XB 360 back then and I'm really hypped!!. But I didn't bought an XB 1 because PC got my attention in 2014 and I got one when I knew GTA V was going to get to PC. Now I'm considering buying a XB1 or a PS 4 just for this game, but I'm very unsure if I should do that or save that money for the game when it comes to pc (If it comes) and upgrading my Rig because I Doubt that I could run it smoothly with the GTX 960...decitions decisions. i would reccomend that you hold for the PC version. It's a fact that's coming to pc? There isn't an official announcement, so techinically it's not a fact, but at this point it is 100% obvious that it's coming to PC. Any information on the 100% obvious part? I summarized the main reasons in this comment. I'm one of those guys, I just can't wait another year or so. I'm too excited! I just hope they let us have the opportunity to grab the 1st 1 "RDR" for PC also . Then after i play that ill play "RDR 2" on the PC. it's all we want really at the end of the day. Ive said it for years now, it takes a PC to make a game so release it on the PC. 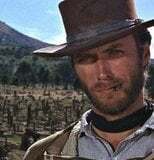 I doubt we'll ever see RDR1 on PC, the only way to play it without buying a console is either by using PSNow or using an emulator when it will be stable enough. I just hope they let us have the opportunity to grab the 1st 1 "RDR" for PC also. Didn't the first Red Dead have issues with the code and that's why we did not get a PC Release? as someone who is a console and PC player and a sucker for rockstar games ill buy it again no problem on PC. but having it on console first is expected. 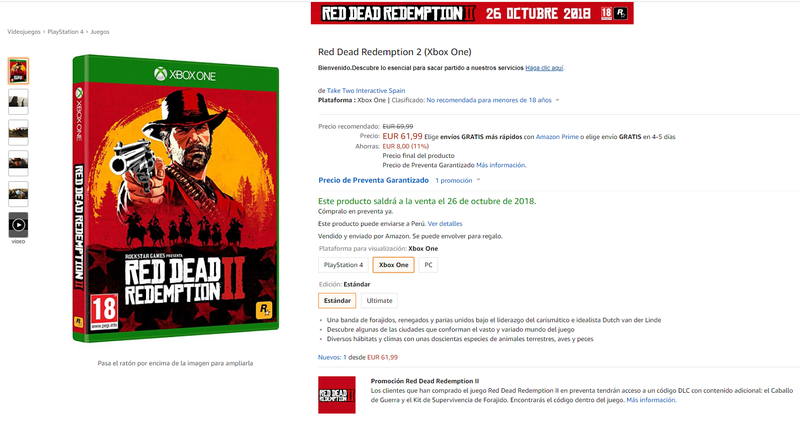 but hopefully this time around it is not stuck on Console Limbo like RDR1. I think the story goes that to get the game running on the 360 and PS3 they used a lot of tricks specific to the 360/PS3 hardware to optimise the game as much as possible, meaning neither version was a suitable foundation for a PC port, not without a significant amount of work rewriting chunks of the game anyway. Someone more knowledgeable on the subject might know more though. It was the version of RAGE it used, Rockstar San Diego started on a split off branch from version 2 (GTA IV/MC:LA/GTA EFLC) without doing any documentation and things spiralled out of control from there, they did end up using a lot of cheap tricks, hacks and what not to even get it running on consoles (and if you look at the games files, you'll see even in the final build where last minute assets were thrown on out in the open which should be in rpf archives). Again on the plus side it was this mess that caused them to unify and overhaul RAGE for a new build which first appeared in Max Payne 3 and was used for GTAV (last gen and current gen/pc). From what I heard the game almost didnt came out even in consoles because of the buggy code they were using.Leslie Benzies was one of the guys who saved the game in the last year of development. OT: Leslie Benzies: Is there any new information about Everywhere Game? The piracy problem is way overblown, in today's PC market good games sell really well and are definitely profitable. The actual impact of piracy on game sales also seems to be really really small according to the data we have on denuvo/no denuvo games. Edit: I was responding to one of the posts that got deleted. Oh look we have the Master Race types showing up, I guess it's their turn to start spewing bs. So probably they will release another Call of juarez. I loved gunslinger. Will be a a cool game meanwhile we wait for RDR 2. I think it's a bit funny how people actually think a big company like TakeTwo just relies on Rockstar's whims and feel-likes when it comes to which platform they're going to release their games or not. Shareholders are going to come for Zelnick's head if he even dreams of depriving them of that sweet PC money they've tasted with GTAV. It so weird that the 26 for a lot of people will be on of the best days of their gaming life but for us one of the worst. I'm buying it on PS4, and selling that copy when it comes to PC.